Programmable logic controllers (PLCs) and programmable automation controllers (PACs) are industrial computers constructed and adapted for manufacturing environments. These computers are the brains of a manufacturing operation, providing highly reliable control of automation equipment. PLCs and PACs are very similar to each other as they both perform the same essential functions. And, with modern technology, their differences are becoming more blurred. All automated systems are built with a PLC or PAC to control individual machines or stations. Additionally, the computers can be programmed to control a group of machines or stations. The most notable difference between PLCs and PACs is their programming interface. PACs are more intricate, using C or C++. 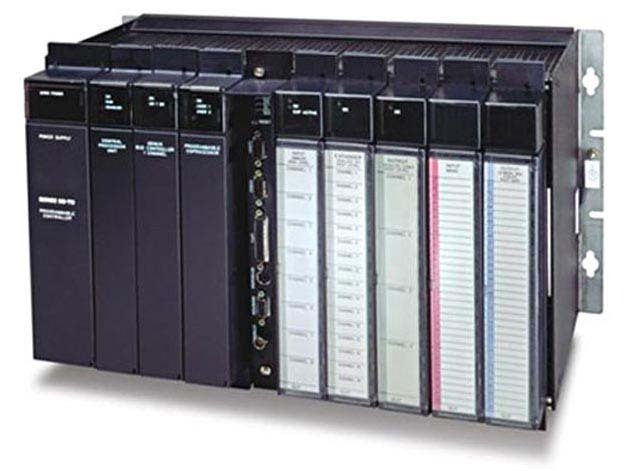 PLCs, on the other hand, are programmed using ladder logic, a programming language that employs symbols representing an electrical schematic of relays. These programming differences create distinctions in the architecture and capability between the two computers. A process fieldbus (Profibus) is a typical technology used for automation communication. PLCs have simple program execution scans, but with limited memory and discrete input/output (I/O). Modern PLCs are capable of high-speed I/O, sequencing, and proportional-integral-derivative (PID) control in addition to digital and analog I/O. Many PLCs have built-in networks enabling the communication between multiple PLCs, the distribution of I/Os, and communication between human-machine interfaces (HMIs) and supervisory-control and data-acquisition (SCADA) systems. PLCs are particularly useful for simpler processes and smaller automation projects that do not require rapid scalability. PACs have an open architecture and incorporate modular design. This helps an array of devices, networks, and systems communicate and operate with each other. PACs are used to communicate, monitor, and control equipment across multiple networks and devices. This is possible because they utilize standard protocols and network technologies such as Ethernet, OLE for Process Control (OPC), and Structured Query Language (SQL). Thanks to their modular design, PACs help simplify system expansion processes. Adding or removing components is easier to execute. PACs have the ability to monitor and control thousands of I/O points in addition to offering tag-based programming. With tag-based programming, a single tag-name database is used for development, and these tags can be assigned to a variety of functions before being tied to a specific I/O. 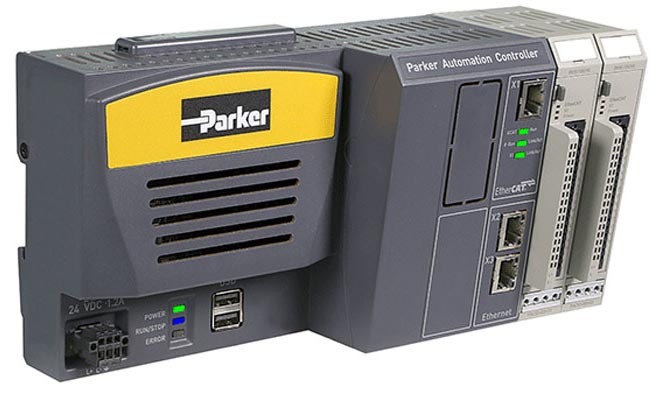 The Parker Automation Controller is an example of a programmable automation controller (PAC). all in one software suite. PACs provide more flexibility in programming, larger memory capacity, and better scalability for future expansion. They are particularly useful for systems with a high percentage of analog I/O. Oftentimes, they will be implemented in systems with extensive network interface requirements and systems with direct user interaction requirements. Based on their differences, it appears PACs are the logical choice for any automated system. However, that is simply not the case. It all comes down to what is needed now and in the future. There is no need to use a sledgehammer to drive a nail for hanging a photo frame. Similarly, there is no need to invest in a high-powered PAC to run machinery that requires simple programming. It all comes down to the complexities of the operation. PLCs are ideal for both simple and high-speed machine control. PLCs are a more cost-efficient option for standard automation control. A capable PLC will help many automation projects perform to the best of their abilities. PLCs operate in a large variety of machines, such as automated spray equipment, dispensing systems, motion control, and assembly equipment. It’s the unique, large-scale automation projects with intricate complexities that require a PAC. That’s why PACs are great for complex automation system architectures composed of several PC-based software applications. Combine the previously mentioned systems into a single automated process and a PAC will control all of them. and suitability for high-availability systems. Technology advances have given PACs and high-level PLCs internet connection capability for sending and receiving data. Adding Internet of Things (IoT) devices to manufacturing operations increases the real-time information gathered and shared to interested parties anywhere in the world. Their connection to the internet also enables users to remotely control the PLC or PAC and change its functions to control automation equipment in a different manner, from something as simple as increasing or decreasing speed to a change in motion and position parameters. This level of customization enables businesses to adapt manufacturing operations with less downtime. PLCs and PACs both control machines in an automated process. Determining which one to use comes down to the process’s complexities and scalability for the future. Working with an automation expert can help determine the extent of your needs for now and the future.